You can count on Pinnacle to be ready around the clock. If your furnace breaks down in the middle of the night or your air conditioner goes out on the Fourth of July. We are ready and waiting 24 hours a day, seven days a week. Our skilled technicians are not only highly trained. They are background checked and drug tested so you never have to worry about who is in your home. They will always treat your home with respect and leave it as clean (or cleaner) than they found it. When your name is Pinnacle, you are always reaching for the top. The pinnacle is a lofty peak or the highest point. 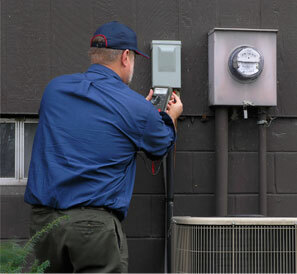 We want to be the best in heating and cooling repairs, installations, maintenance, but most of all, service. We use the latest technology to bring you the most convenience and savings. Our paperless digital systems and flat rate pricing save you time, hassle, and money. At Pinnacle, we strive every day to bring you the very best in service – both repair service and customer service. Call us when you need furnace or air conditioner help at (781) 647-7117.